Olivia works on sustainable development and human rights, with a particular interest in gender and young people. Her portfolio of events includes women’s economic empowerment, climate change, global health, and faith and development. In addition she is currently working on Powering the Future: the Wilton Park dialogues on youth – a series of events over two years in the UK, Jordan, South Africa and Ethiopia. Prior to joining Wilton Park, Olivia worked on a rights-based approach to health at the WHO in Geneva, focusing on child over and under-nutrition. She has also spent time in South Africa, working on the right to education with the Equal Education Law Centre in Cape Town. 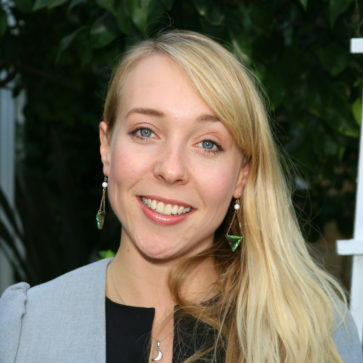 Olivia has a Masters in Human Rights from the University of Sussex and studied History at Emmanuel College, Cambridge.